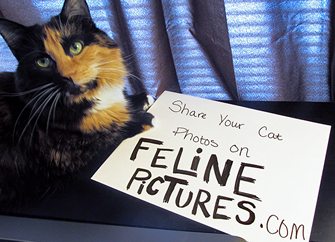 Here we have two photos of Piper a Tortoiseshell cat with a Special message for all Feline lovers out there. 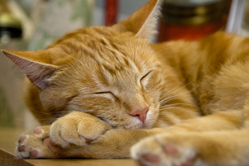 If you have a photo or two of a special feline or felines in your life that you would like to share with others here on FelinePictures.com - be sure to let us know! Here are some fun facts about Piper provided to us by her owner. 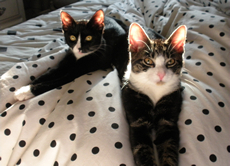 Piper was a mirror-image twin, so her sister had the same striking markings as her, only on the opposite side of her face. 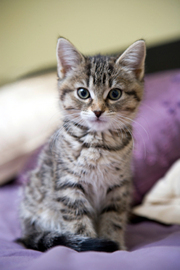 Piper has the softest, sweetest little meow you've ever heard. When she purrs, the sound is so quiet you would have to press your ear to her body to hear it. She loves treats, and is the one cat I've owned who will sit at or near the dining table and beg like a dog. She will not drink directly from her water dish, and instead sits there calmly, dipping her paws into it and licking the water off her fur (which our other cat hates). 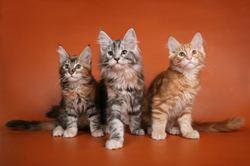 If you do not have cat grass constantly available for her, she will chew through any small string-like item or equally sized wires. I'm so glad we figured that one out recently, because replacing phone chargers and internet cables was getting spendy. She is maybe the sweetest cat I've ever owned. She never bites or scratches, and if playing with you with her paw, uses only the soft pads of her foot. And lastly, she has a ridiculous amount of hair! I've bathed her before, and believe you me, half of that little body is fur. 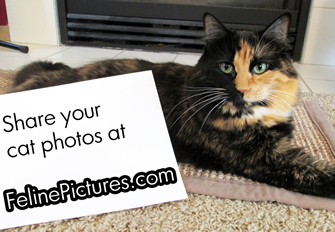 Would you like to see Piper the tortoiseshell cat pose for you with a personal sign? If so, be sure to visit the following web page Photograph my cat posing with your personal sign which is where you can contact Rallywrite who is Piper's owner for more details.